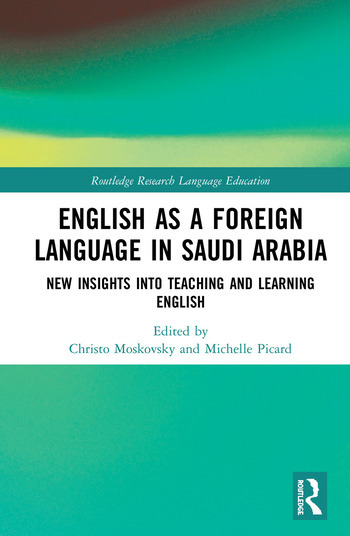 English as a Foreign Language in Saudi Arabia: New Insights into Teaching and Learning English offers a detailed discussion of key aspects of teaching and learning English in the Saudi context and offers a comprehensive overview of related research authored or co-authored by Saudi researchers. It provides readers with an understanding of the unique cultural, linguistic, and historical context of English in Saudi Arabia—with a focus on the principal factors that may influence successful teaching and learning of English in this country. Uniquely, the book looks separately at issues pertaining to in-country English learning and learners, and those pertaining to in-country English teaching and teachers. The volume also explores issues concerning Saudi learners and teachers in overseas contexts. Lastly, the book touches on the future of English as a Foreign Language and TESOL in Saudi Arabia and its implications for the field. Christo Moskovsky is a senior lecturer in linguistics at the University of Newcastle where he has led the University’s research program in applied linguistics. His research has focussed on social, cognitive, and psychological aspects of the learning of second/foreign languages—particularly English. His research output has been published in some of the highest ranked journals in this field. Dr. Moskovsky also has a strong track record in research supervision in applied linguistics including a number of successful candidates from Saudi Arabia with most of whom he has established long-lasting personal and professional relationships. Michelle Picard is Associate Professor and Deputy Director at the English Language and Foundation Studies Centre at the University of Newcastle. Dr. Picard holds a PhD in Higher Education and has an MA (ESL) Teaching. She has taught and researched in the United Arab Emirates, the Sultanate of Oman, Singapore, South Africa, and Australia. She has supervised a number of Saudi PhD and Masters students, and publishes on English teaching and English for Academic Purposes in higher and secondary education. Dr. Picard is particularly interested in research involving Global English, policy reform, e-learning, Academic Literacies, equity, and critical pedagogy.